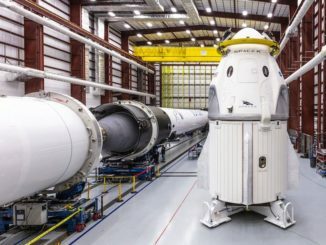 SpaceX rolled the first Crew Dragon spacecraft out to a Florida launch pad Thursday for final preparations ahead of a test flight to the International Space Station. 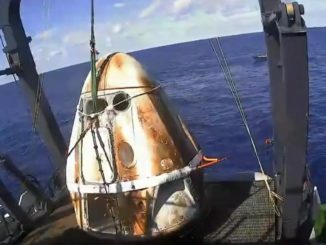 SpaceX’s first Crew Dragon spacecraft wrapped up its five-day stay at the International Space Station at 2:31 a.m. EST (0731 GMT) Friday with a smooth undocking, then nailed an on-target splashdown in the Atlantic Ocean east of Florida at 8:45 a.m. EST (1345 GMT). 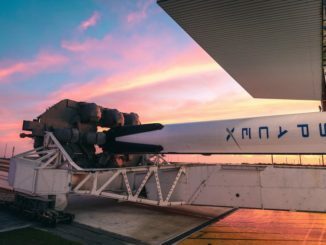 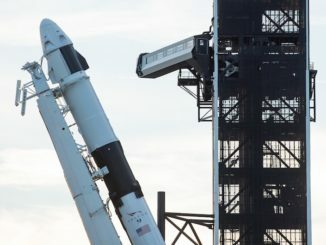 SpaceX’s first Crew Dragon spacecraft, fixed to the forward end of a Falcon 9 rocket, emerged Thursday from the company’s hangar at the Kennedy Space Center in Florida for the quarter-mile journey to its launch mount at pad 39A, where liftoff is scheduled early Saturday on a critical test flight before astronauts strap into the ship later this year. 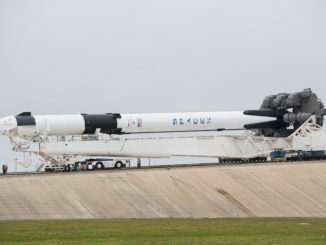 The first official launch weather outlook issued Tuesday by U.S. Air Force meteorologists predicts an 80 percent chance of favorable conditions for the predawn liftoff Saturday of SpaceX’s Crew Dragon spacecraft on a test flight to the International Space Station. 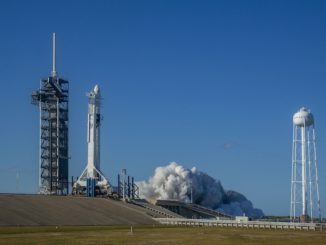 NASA managers held a flight readiness review Friday and cleared SpaceX to press ahead with work to ready a Falcon 9 rocket and Crew Dragon commercial ferry ship for launch March 2 on an unpiloted test flight to the International Space Station. 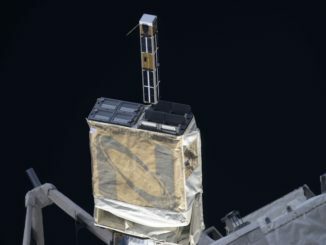 One of five CubeSats deployed from the International Space Station last month is testing a steerable drag brake that could find use in future smallsats to return experiment samples to the ground from low Earth orbit, or on low-cost micro-probes to explore other planets. 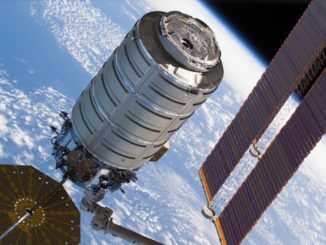 A commercial Cygnus supply ship departed the International Space Station on Friday for an extended mission to deploy five nanosatellites and conduct other experiments before re-entering the atmosphere and burning up with more than two tons of trash. 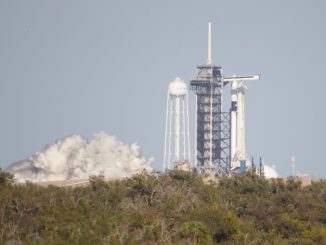 A SpaceX Falcon 9 rocket sporting human-rating upgrades such as new composite pressurant tanks briefly ignited its nine Merlin engines Thursday afternoon on a launch pad at NASA’s Kennedy Space Center in Florida, and SpaceX later declared the pre-launch milestone complete in preparation for a critical test flight with a commercial crew capsule as soon as late February. 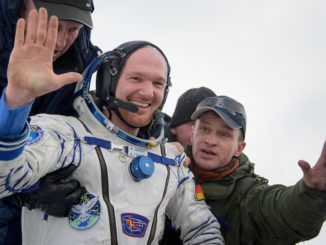 A Russian cosmonaut, a German flight engineer and a NASA astronaut undocked from the International Space Station and plunged back to Earth overnight Wednesday, landing on the snowy steppe of Kazakhstan to wrap up a six-month mission.